1. Let’s face it: the Bible is not exactly a barrel of laughs. In the Old Testament the Lord laughs a few times in the Psalms – at the nations’ rulers in Psalm 2:4, at the wicked and godless in Psalms 37:13 and 59:8 – but it is a disdainful, derisive laughter. As for human laughter, the preacher in Ecclesiastes 2:2 calls it “foolish” (GNB), “mad” (NRSV), even if it does have its “time” (cf. 3:4); while Job’s so-called comforters Eliphaz and Bildad console their friend with the promise of laughter if he repents (5:22, 8:21) – but we know what God thinks of them (42:7). 2. Is Sarah an exception? She laughs when God promises her a child in her dotage, but beneath her breath (Genesis 18:12). But the Lord hears her giggling – “Yeah, right!” she is thinking – and he is not amused at her doubt, so in fear she denies that she laughed (18:15a). “Oh yes you did!” the Lord replies (18:15b). We should remember that Abraham laughed too when told that Sarah will bear him a child (17:17), but evidently our (sexist?) Lord was more indulgent with the old man than with his old lady. One thing is for sure, juxtapose the two scenes and you have the stuff of situation comedy! 3. And then there is the name “Isaac” – “the one who will laugh.” Does giving the child of promise such a sobriquet suggest that God has a sense of humour after all? And perhaps we should not overlook the additional syllables that God adds to the names Abram and Sarai: they become AbrAHam and SarAH. “An onomatopoeic ‘Ha-Ha’”? (Simon Critchley). 4. 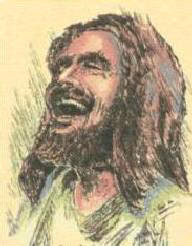 There are three explicit references to laughter in the New Testament. In James 4:9 the complacent laughter-become-mourning of repentance; in Matthew 9:24 (par. Mark 5:40, Luke 8:53) the dismissive laughter of the crowd at a funeral that Jesus crashes; and in Luke 6:25 the smug laughter of the powerful – and in Luke 6:21 the eschatological laughter of the powerless. The eschatological laughter is promising, even proleptic. For if the verbal abuse of Jesus’ enemies at the foot of the cross surely included cruel and mocking laughter, may we not suggest an Easter laughter – risus paschalis – that rings out with resurrection joy? like a mushroom, he was a fun-guy. 7. The only serious theological question is not “Did Jesus laugh?” but “Did Jesus laugh in his divinity as well as his humanity?” As with suffering, the doctrine of the divine impassibility would suggest not. If, however, revisionists like Moltmann and Jüngel are right, then, if God can suffer, surely God can laugh. 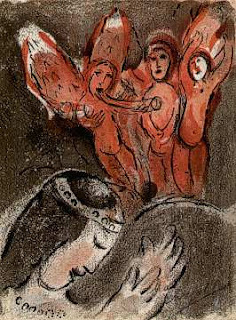 The resurrection event is crucial, as it identifies, even defines, if it does not constitute, the very being of God. In any case, the grammar of faith allows, and (I submit) the substance of faith demands the statement: “God laughs” – and not only with scorn for his enemies but, above all, with joy for his friends. 8. Ergo, an Easter people cannot act like lemon-suckers. Chesterton said that “Angels can fly because they take themselves lightly,” and no less an authority than the Angelic Doctor himself “leaves the Christian with a wide field for his fun. He does so on the authority of the Philosopher” – revelation and reason in perfect harmony – “who, we are reminded, ‘posits the virtue of eutrapelia, which in Latin we call jucunditas, enjoyment.’ His conclusion rejoices smiling Christians” (M. A. Screech). Alas, St Thomas set limits to Christian frivolity: no dirty jokes! Calvin agreed – but not scatologically-minded Luther. And Erasmus, while keen on wit, disapproved of tickling – which, in my view, comes close to advocating child abuse! And there is the Jewish character, figure of fun, known as the schlemihl: a rather weak, inept, and vulnerable guy who takes on the chin whatever goys throw at him, who gets knocked down again and again, but who always gets up, dusts himself off, and gets on with life without a grumble. 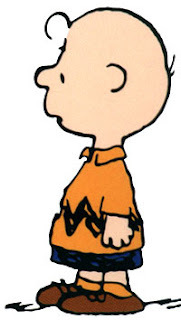 There is a Christian version of the schlemihl: his name is Charlie Brown. In the schlemihl, laughter is not only polemical critique, it is also therapeutic self-critique lest the oppressed becomes an oppressor. A personal anecdote. During my training for the ministry I was leading morning worship at Mansfield College, Oxford. 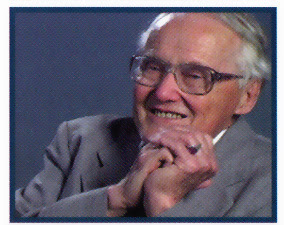 Lesslie Newbigin was present, so I wanted to be word perfect. The Old Testament lesson, from I Samuel 14, was about Saul slaughtering the Philistines. 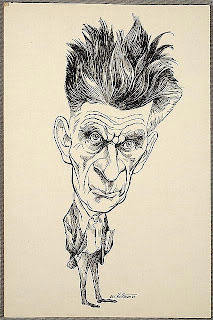 I came to verse 15, which reads: “There was a panic in the camp.” But this idiot read: “There was a picnic in the camp.” As I prayed for the earth to open, all eyes turned to the great man. How would he respond? He laughed, of course!